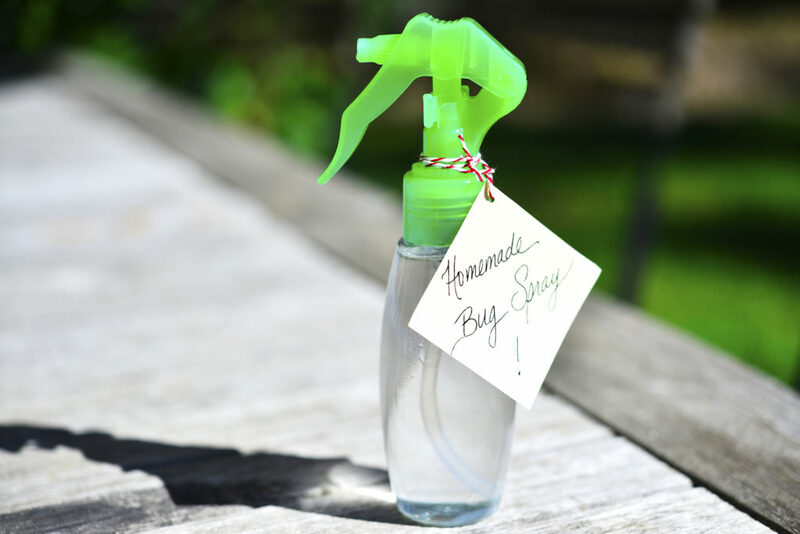 As with many household items, natural bug spray can be made inexpensively and naturally at home. 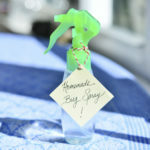 Why would you want to make your own bug spray? 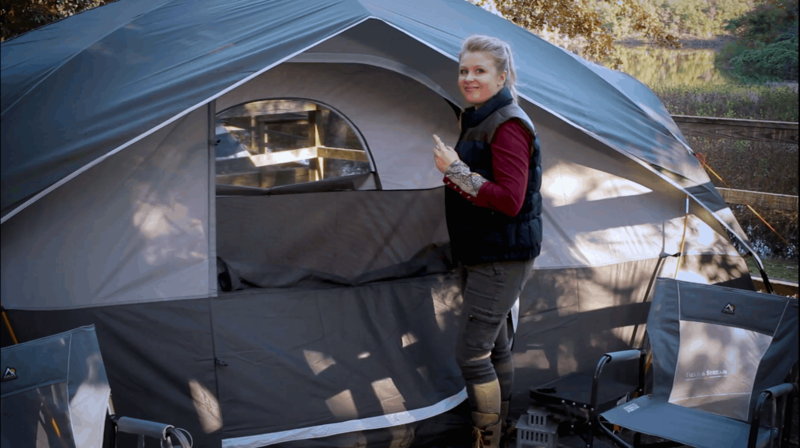 Because it won’t contain the chemical DEET, which although approved by the EPA, is known to cause a whole host of problems, from allergic rashes to neurological damage. Yuck. In my Modern Pioneering series I show you how to make it with just a few simple ingredients. 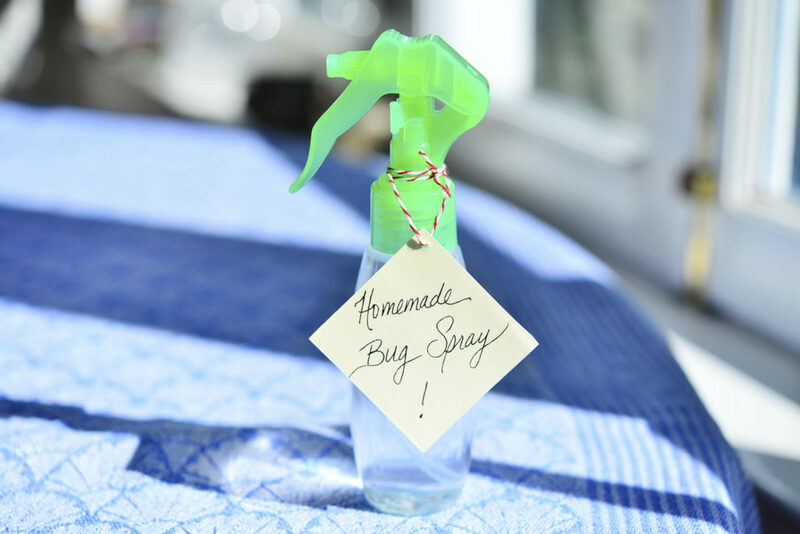 This recipe for bug spray can be put together quickly, and best of all it can be varied based on what you have available in your pantry. 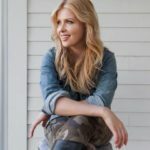 Below are two variations, one with essential oils and one without, so you can mix it up and work with what you already have. Enjoy friends! Combine the ingredients in a spray bottle and shake well before using. Tip: If you don’t have essential oils but want to try this version, take fresh or dried herbs like mint, cloves, catnip, lavender, and cinnamon and boil in the water, let steep covered, then strain into the witch hazel or vodka. Combine vinegar and herbs in a mason jar and seal with a lid. Shake daily for 2 weeks. After two weeks strain into another mason jar add the vanilla extract and store in the refrigerator. 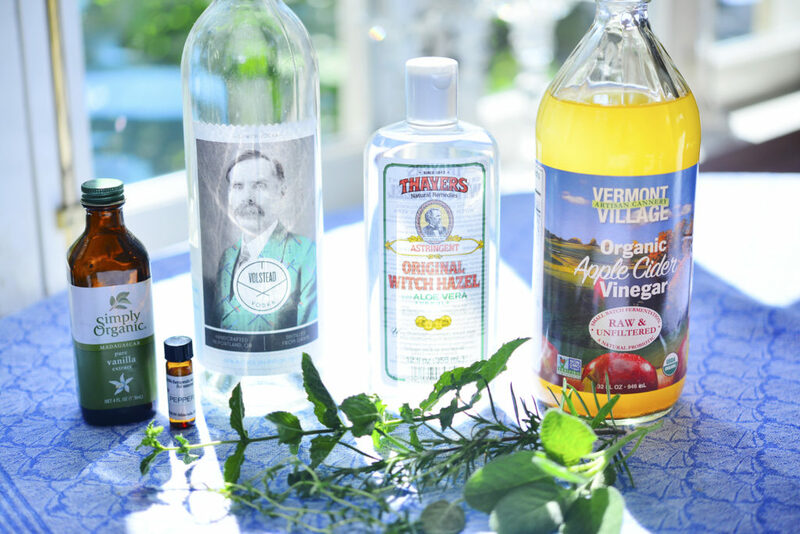 Combine with equal parts water and herbal vinegar in a spray bottle and shake well before using. Tip: This solution is potent and works well in areas where there are a lot of ticks. Because it is strong smelling adding vanilla extract will give it a more pleasing aroma as well as help deter insects.